What does the body language and the facial expressions say? This picture hints at the potential for some bullying. Worksheets like these help students to think critically. There is no text, therefore students must infer meaning, make predictions and construct their own meaning based on interpretation of the pictures. 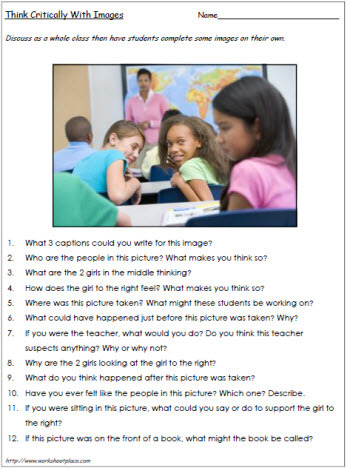 Use these critical thinking worksheets with groups or on individuals to support critical literacy skills.